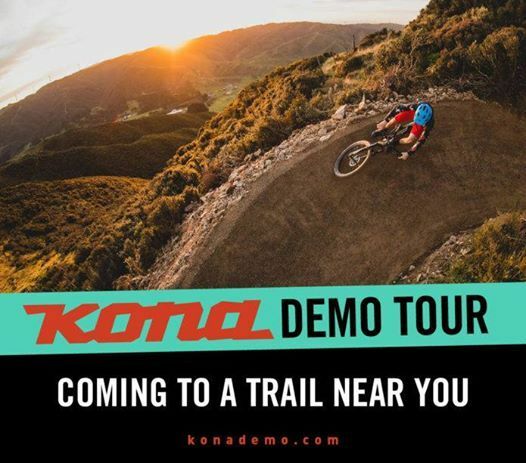 THE KONA DEMO TOUR IS BACK AND BIGGER THAN EVER! FROM FEBRUARY THROUGH NOVEMBER, WE’LL BE CRUISING ALL AROUND NORTH AMERICA MAKING OVER 140 STOPS AT SHOPS, EVENTS, AND TRAILS NEAR YOU. 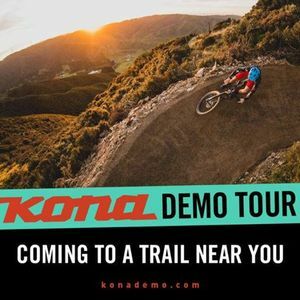 COME DEMO SOME OF OUR FAVORITE BIKES INCLUDING THE PROCESS 153 CR 29 AND 27.5, HEI HEI CR DL AND BIG HONZO CR. WE’LL EVEN HAVE A FEW LIBRES READY TO RIDE AT SELECT STOPS. WE’LL HAVE FULL SIZE RUNS ENSURING EVERYONE CAN FIND A BIKE THAT FITS JUST RIGHT. COME SEE WHY EDITORS HAVE BEEN RAVING ABOUT THE PROCESS, AND WHY THE HEI HEI CR DL HAS BEEN A 24 HOUR SOLO WORLD CHAMPIONSHIP BIKE TWO YEARS IN A ROW. WE’RE LOOKING FORWARD TO SEEING YOU AT AN EVENT SOON!